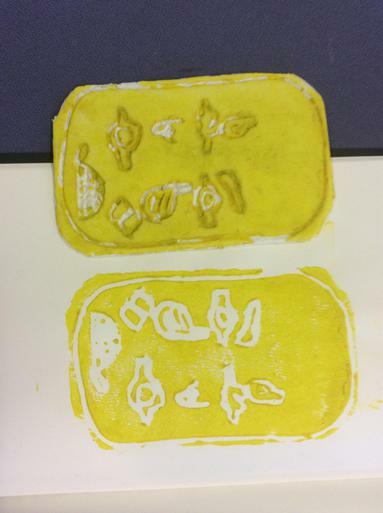 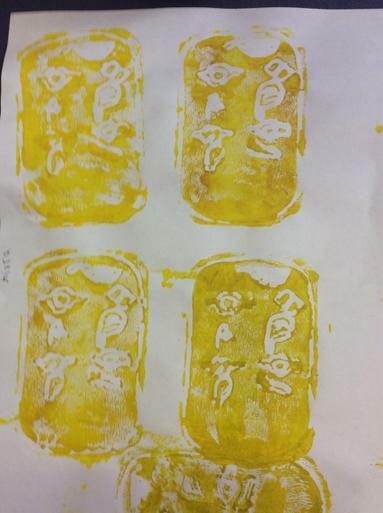 To tie in with their topic work on 'The Egyptians' , Class 2 have been making prints of 'cartouche' (oval rings around names) producing some very effective results. 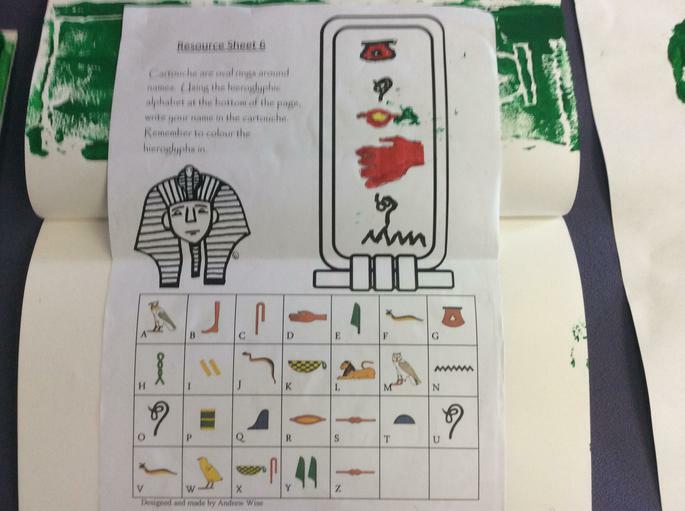 Using a piece of polystyrene and a pencil, the children had to carve their names in hieroglyphics and then make prints of the cartouche. 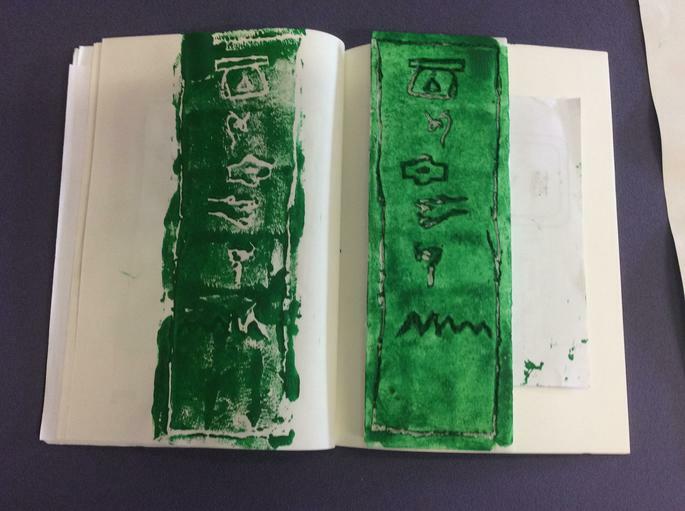 Gordon said: " We carefully did the carving, then we had to use a roller to put paint on the polystyrene." 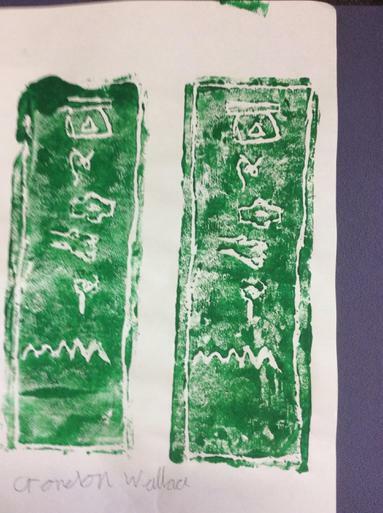 Kiera:" I liked doing the carving but you couldn't make a mistake because you couldn't rub it out."